With advent of time and growing online businesses, importance of Google analytics is something which we cannot deny, So in order to see the best possible outcome of your digital marketing campaign and to have a constant monitoring and record of your website Google analytics is the answer of all your questions. Google Analytics is the best program which will provide you the best practical solution in everything from covering the basic fundamental of Google Analytics to its implementation to an advanced set up across the multiple domains with e-commerce tracking. The major focus is on the practical part of the tool that applies to all websites in all industries. There is no pre-requisite to join this course but to have some knowledge of SEO or Internet Marketing would be an added advantage. Traffic Sources: How did they get here? Content: What did they do on the site? Visitors: Who are these people anyway? Goals & Ecommerce: Did they do what we wanted? What Does a Great Analyst Need to Know? 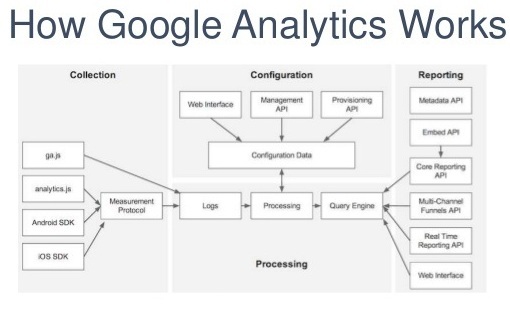 Anyone can join Google Analytic Training who wants to work in same business starting from a working professional to jobseekers in the same field.